The main risk when it comes to smoking cannabis is the actual combustion of the plant material. The burning of the plant produces chemicals such as carbon monoxide that can be hazardous to our health when inhaled through our lungs. Using a vaporizer allows you to cut down on these chemicals since no combustion is needed. This vaporization process allows you to consume almost all of the psychoactive ingredients founds in the cannabis plant. 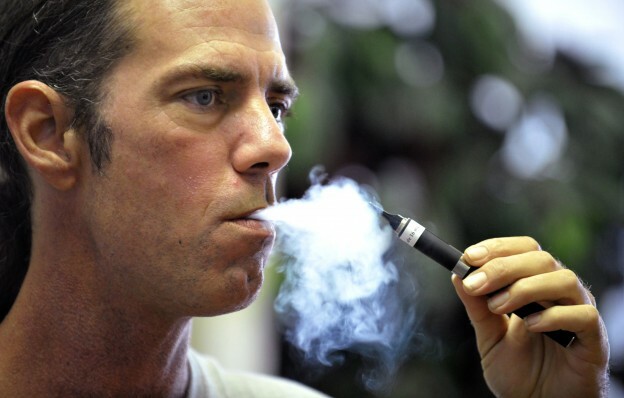 Smoking cannabis with a vaporizer has several health benefits. There is no smoke entering your lungs, the psychoactive effects of THC are more profound, and you get a smooth hit every time. Owning a vaporizer also has many financial benefits. Less herb is need when vaporizing and you usually only need to pack it once to reach your plateau. You can tell once the herb is done when it turns a dark brown. Patients who use medical marijuana can protect themselves from toxins present in marijuana smoke by utilizing a portable marijuana vaporizer. The vaporizer is a healthier way to consume cannabis by inhaling only vapor, eliminating negative toxins from entering our lungs. This is why vaporizing cannabis with a portable vaporizer device is recommended for medical patients. More and more people are become introduced to low temps dabs. With tasty new strains of concentrates coming out, everyone wants to enjoy their wax to the fullest. Investing in a quartz banger carb cap combo is a must if you want to taste the full flavor of your concentrate. While different people have different opinions, here are some tips and tricks on how to get the most out of your concentrate. Make sure to season your nail before using it to dab. Seasoning your banger allows for optimal taste for the perfect hit. The most cost effective way to do it is to use reclaim, simply heat up your banger and coat the inside dish with your reclaim. If you don’t have any reclaim available you can just use some of your concentrate. Do not inhale the vapor though! You just want the oil to coat the inside of your banger dish. Repeat this two or three times and you should be good to go. Don’t overheat your banger! Quartz nails are notorious for their quick heat up time. If the banger is red hot, let it cool down until it returns to its normal color. For best results it would be a good investment to go out and purchase an enail. There are many enail for sale both online and local smoke shops. Prices vary from $150 to the upper $400. Dabbing off a red hot nails will give you a harsh throat hit and burnt taste, wasting your concentrate. You don’t want to burn your product, you want it to vaporize. Timing is everything. It may take a couple of tries but best advice is trial and error. You want to see the wax bubble up in the banger dish, not burn up. Some people recommend using an infrared thermometer to get the perfect temperature. You can buy a cheap one on Amazon, although it’s certainly not a must. Once your banger is cooled, throw on your banger carb cap to lock in the heat. It’s best to use a thick banger, preferably 4mm or 3mm. The thicker walls help retain the heat and vaporize your concentrate evenly. Titanium Nail vs Thick Quartz Banger: Which is better? When upgrading your glass nail on your oil rig, should you go with titanium or a quartz banger? Both thick quartz bangers and domeless titanium nails have their ups and downs, some even say it is simply personal preferance. So which is better, titanium or quartz? We all know glass nails are known to break easily, have a higher chance of cracking, and must be replaced a lot. To avoid any headaches, your best bet is to upgrade the nail on your oil rig to either a titanium nail or a thick quartz banger. More than often priced higher than thick quartz banger nails.